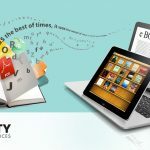 When it comes to augmented reality, there are a lot of different things people still do not know of. 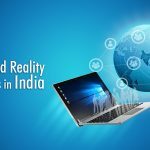 While the number of companies that have started working in this field is immense, a large part of the population does not even clearly know some of the top basic facts about AR and VR. Here, we are going to demonstrate some of these topics and give you a better perspective on it. It was back in the year 1968 that the first iteration of augmented reality was recorded. It was Ivan Sutherland, the American computer scientist who worked at Harvard University who had created the first head mounted display system. This could be recorded as the first instance of AR. So, all those who believe that this is the new age technology need to understand that the roots of the technology were set nearly 50 years ago. It was back in the year 1999 when NASA made smart use of the available AR technology. As per reports, in order to navigate the X-38, NASA made use of a smart AR dashboard. It was Scott Kelly, the astronaut who is credited with using the dashboard that was AR-enabled in order to report back to the mission control. He reported the view he got from space and so NASA adopted the technology even before it became so immensely popular. We have all heard of Pokémon Go and how it took everyone by frenzy. It was a free app but such was its whopping success that the stock prices for Nintendo went up by 23 percent right after the launch. The game had as many as 15 million downloads in the first week itself and the revenue generated in the first month counts to $200 million. So, you can get an idea of how much people loved Pokémon Go as people all over the world were hooked on this game and it was hard to handle the popularity and demand. Even though we said that the concept was used back in 1968, it was actually 1990 when the term ‘augmented reality’ was coined. It was Tom Caudell the researcher who coined this term. He used it for the describing the process of merging the virtual graphics on the physical display. So, with these facts about augmented reality, we hope that you have a better idea about its history. In order to make the most of this technology and to develop apps and games modeled on this line, you should make it a point to meticulously study this concept and then think of the possible apps you can make. No doubt, this technology is here to stay and the AR and VR headsets are selling like hot cakes in the market. So, try your hand today. 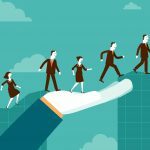 How To Become The Boss Of Augmented Reality Services? 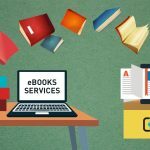 Where Will eBook Conversion Services Be 1 Year From Now? 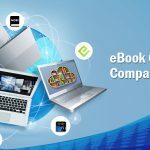 How to get hired in the eBook conversion services industry? What Sets the Top Augmented Reality Companies apart?